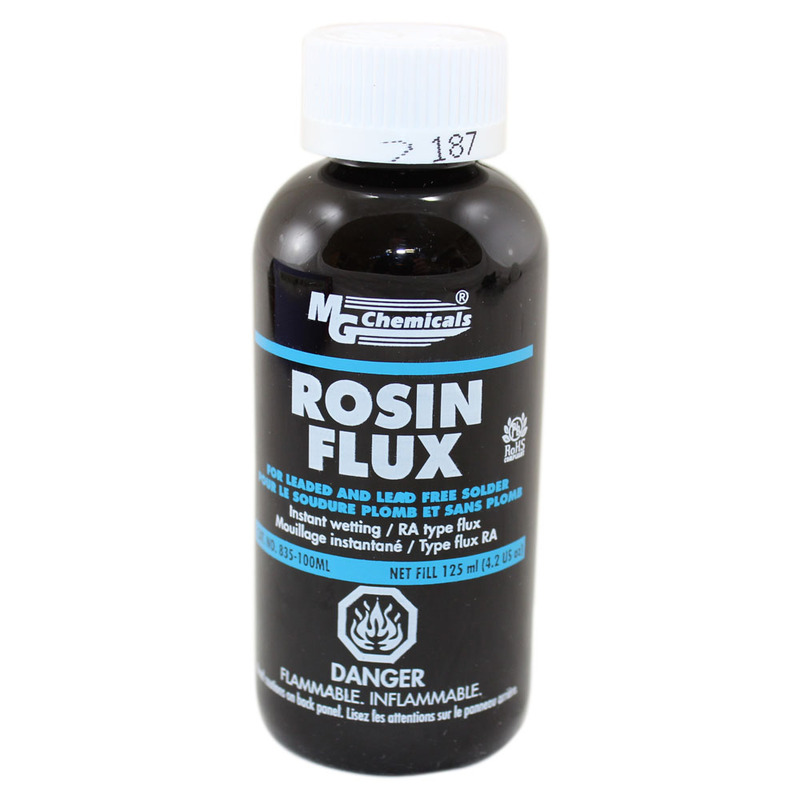 Liquid Rosin Flux - 4 oz. 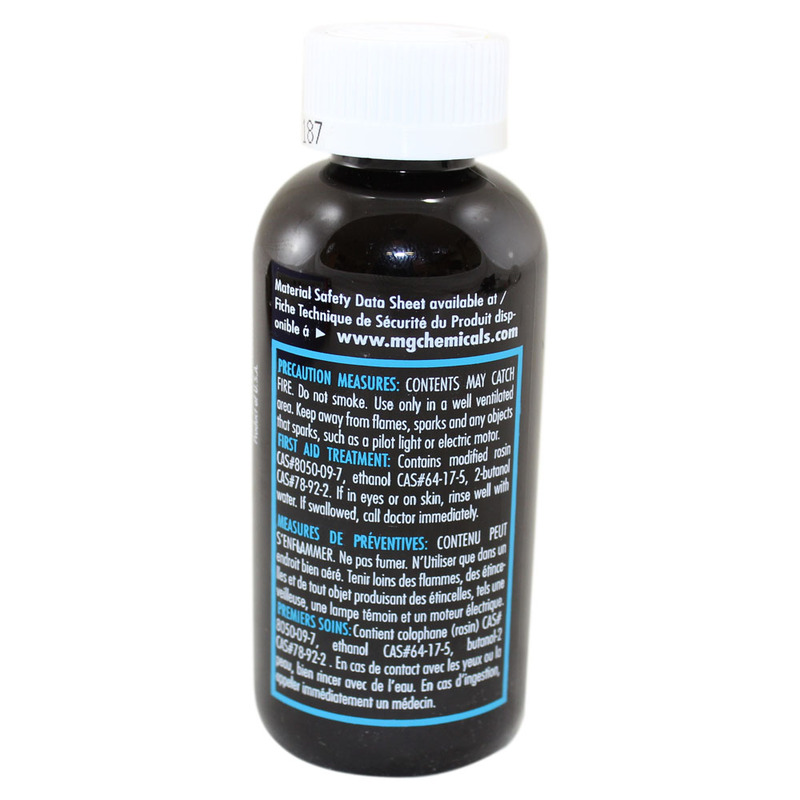 For leaded and lead free soldering. Fully activated. Offers superior fluxing ability. Instant wetting. After soldering, the rosin residue is non-corrosive, non-conductive, moisture and fungus resistant. Also available in Pen, 1 liter, & 4 liter liquid containers.